2017 was a watershed year for ONE OK ROCK, who made use of it by releasing the aptly-titled album Ambitions. It was also a harrowing one for vocalist Taka. Last May, the band were announced as special guests for a series of shows by Linkin Park, set for November in Tokyo. But plans would come to a halt in July when it was revealed that lead singer Chester Bennington was found dead in his home in California. Taka, who serves as ONE OK ROCK's dynamic frontman, has always made known his admiration for Chester and his band. “I loved Linkin Park when I was growing up," he mentions in an interview with Rocksound. "When I first heard their music it was really shocking – it still is! I feel like they inspired our band to want to do our own thing." Taka — full name Takahiro Moriuchi — was roped in for Chester's memorial concert in October, performing alongside other modern rock luminaries like Blink-182 and Avenged Sevenfold. On the show, held at the Hollywood Bowl, he says, "I’m a Linkin Park fan, so it was extremely sad, but on the other hand, one of my dreams had also come true, so my emotions were very conflicted." Linkin Park's influence over the band extends beyond Chester's otherworldly vocal skills, with ONE OK ROCK constantly navigating through a shifting rock landscape and figuring out the band's musical path along the way. "We’ve put out albums that are totally different every single time and along the way, our music has evolved," he says. "It’s been a very eventful and fulfilling 12 years, but we plan to progress even further. We want to produce even more diversified sounds!" Their latest Ambitions is yet another change-up in the band's quest to redefine rock and roll, and it features some stylistic detours that have delighted and intrigued fans — from an instrumental opening track that would make post-rock band Explosions In The Sky proud, to guest features by Avril Lavigne and 5 Seconds Of Summer. "It was great working with them!" he says. "Especially since I’ve been a big fan of Avril since way back! I’m honoured to have been able to collaborate with her." Ambitions is clearly not the end of the band's tinkering with the metallic pop-punk formula, as Taka makes clear. "We might actually be going through a challenging period right now," he says. "Because we’ve worked so hard for 12 years, all for the sake of becoming the ONE OK ROCK we are today! What we need to do from now on as a band, is to aim for an even more diverse music style." It’s been a very eventful and fulfilling 12 years, but we plan to progress even further. We want to produce even more diversified sounds!" — ONE OK ROCK's Taka, on the band's current trajectory. Even as the band continues to try different things, one unwavering constant has been their live shows, which one of our writers has previously described as "impeccable." And despite the band pulling out all the stops every night, they remain susceptible to unpredictability, embracing the chaos and ruin that come with a rock tour. Addressing their upcoming show in Singapore, happening at Singapore Indoor Stadium — set to be their biggest local show to date — they only have one message for their fans: the ball is in your court. "We won’t know what to expect yet without having done the performance," he says, "but we definitely want to make this show a good one!" 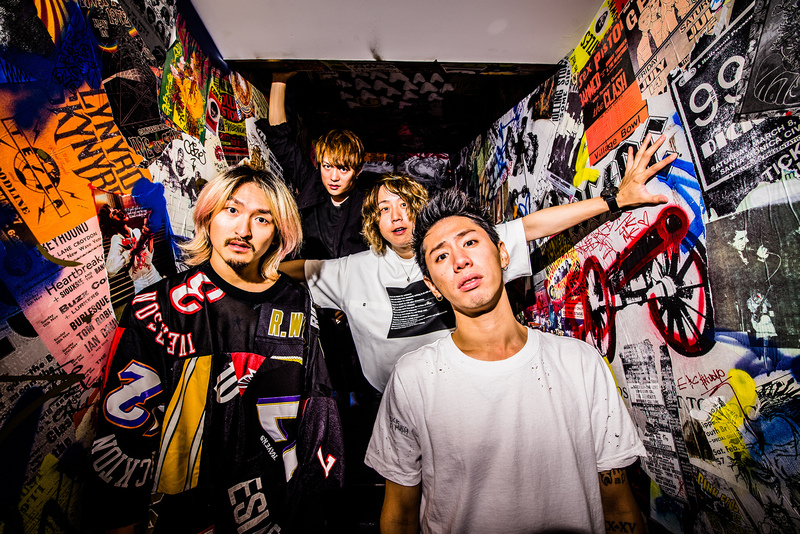 ONE OK ROCK are set to return to Singapore on January 20th at the Singapore Indoor Stadium. Tickets available here.